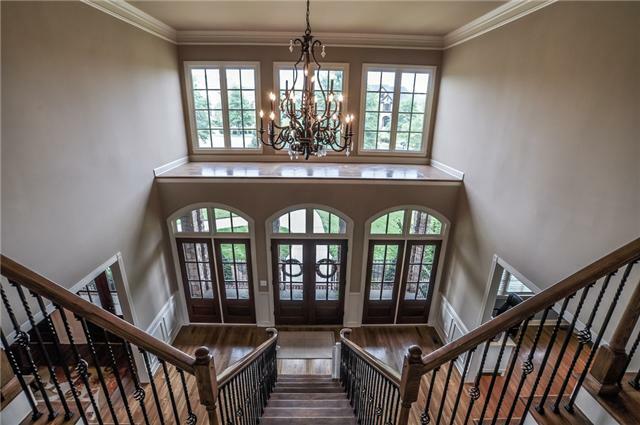 Tucked on a beautiful lot in Brentwood’s Annandale, twice a Parade of Homes subdivision, this beautiful four-bedroom, three-and-a half bath, 4,746 square foot home is a rare find. 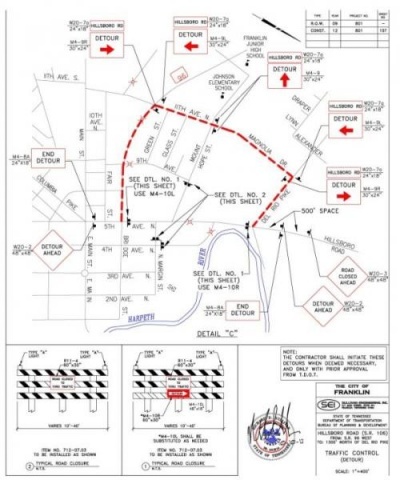 Located at 227 Ennismore Lane, it is move-in ready and rich with custom touches and quality workmanship that anyone would be proud to call home. 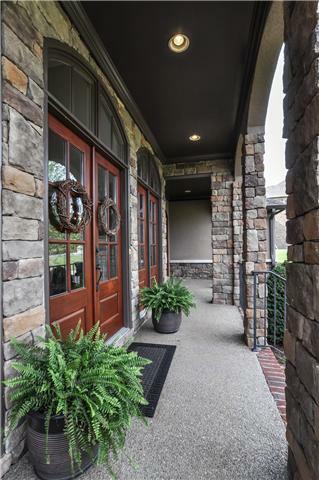 The brick and stone exterior with an old-world feel is warm and welcoming from the covered front porch to the amazing back patio. 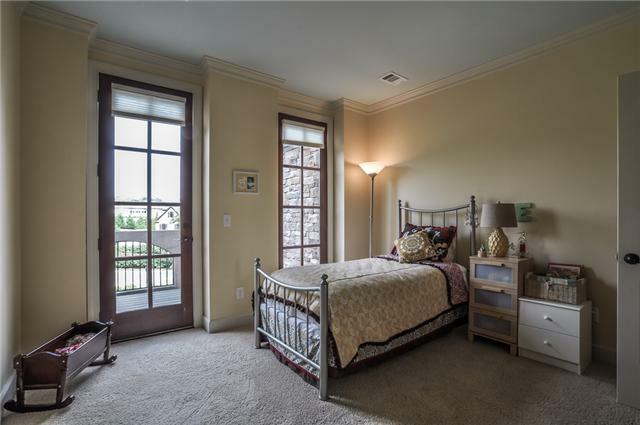 The interior, however, is what will sell you on this family-friendly home. 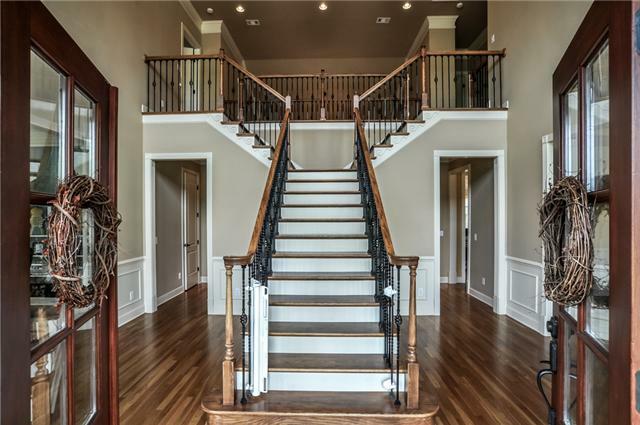 The dramatic, waterfall –style staircase makes a statement in the entry accentuated by handsome wood floors. 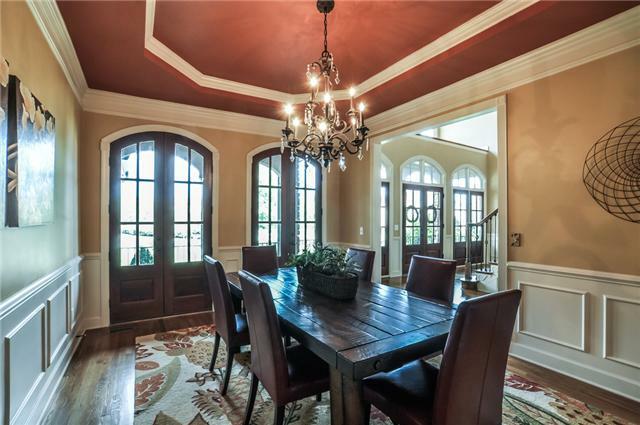 The formal Tuscan-inspired dining room with wainscoting, dramatic trey ceiling and beautiful chandelier flows easily into the rest of the main-floor living spaces including the great room with its custom built-in bookcases, beautiful fireplace and soaring cathedral ceiling. 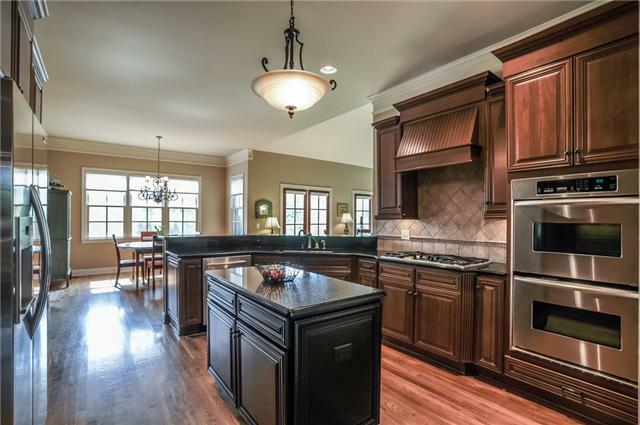 Whether you’re a home cook or aspiring chef, the kitchen has a great layout. The rich wood cabinets and pantry offer plenty of storage while the double stainless ovens and gas stovetop stand ready to produce culinary delights. There’s a freestanding island and granite countertops too. 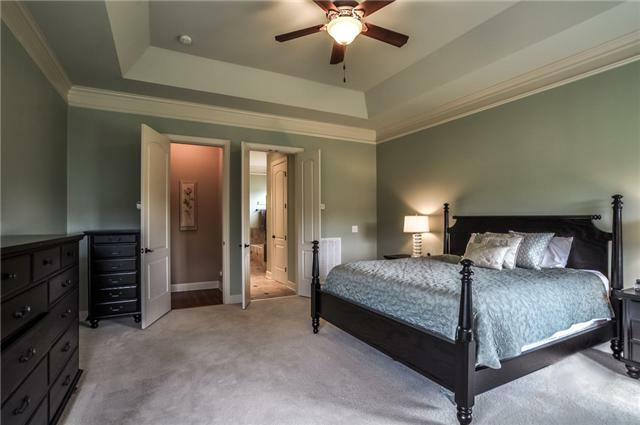 The soothing master suite has an impressive trey ceiling and walk-in closets. 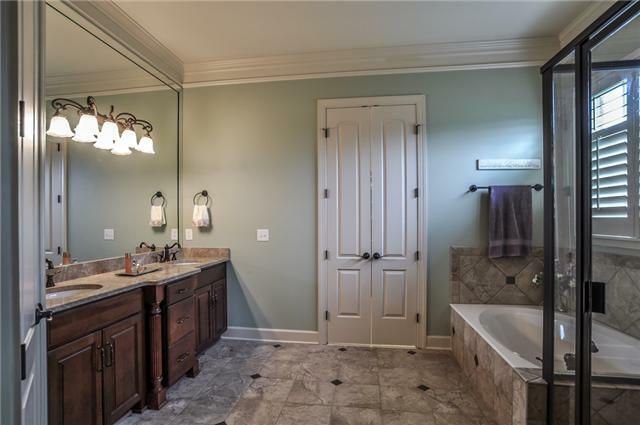 The master bath features a huge soaking tub, separate glass shower and his-and-her sinks that will make mornings a breeze. 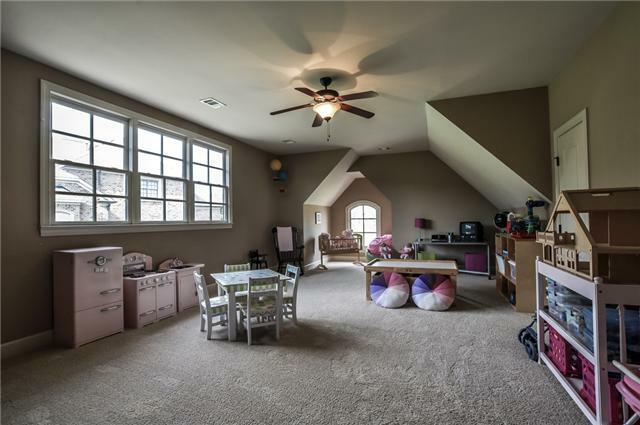 A second-floor play space can be customized to whatever you dream it to be – playroom, media room or home office. 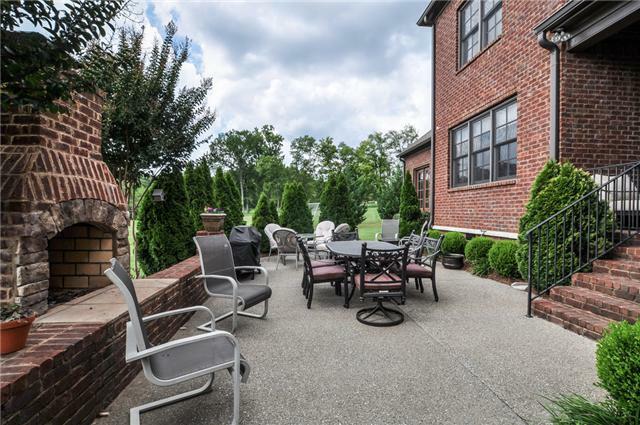 Out back, your patio will become a favorite spot for friends and family to gather year round, with a built-in fireplace, large aggregate patio and plenty of space to entertain. There’s a covered area too, so inclement weather needn’t slow you down. Did we mention the built-in basketball goal? 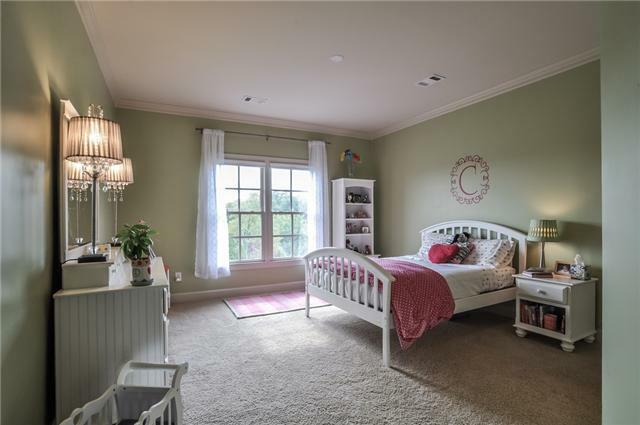 Zoned for Lipscomb Elementary and Brentwood middle and high schools, this 6-year-old home with parking for three, established landscaping, neighborhood pool and acres of open space can’t be beat, especially at its listed price of $889,900. 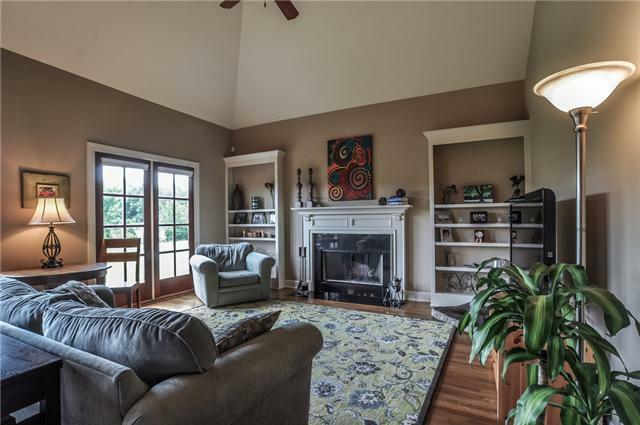 For more information, contact Mary Kocina of Fridrich & Clark Realty at 615-263-4800.